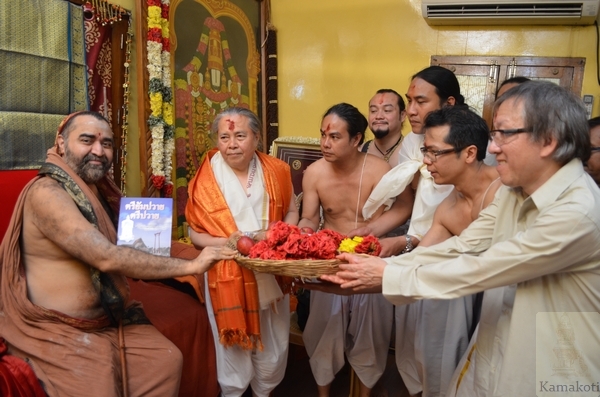 Thailand Maha Rajguru Phra Guru Bidhi Sri Visudhigun visited Kanchi and had darshan of His Holiness Pujya Shri Jayendra Saraswathi Shankaracharya Swamigal and His Holiness Pujya Shri Shankara Vijayendra Saraswathi Shankaracharya Swamigal. The Maha Rajaguruof Thailand belongs to the Vasishtha Gotra and conducts various rituals including the Tirvembavai ceremony in the Thailand Royal Court. His ancestors belonged to South India and have deep connections with Kanchipuram. 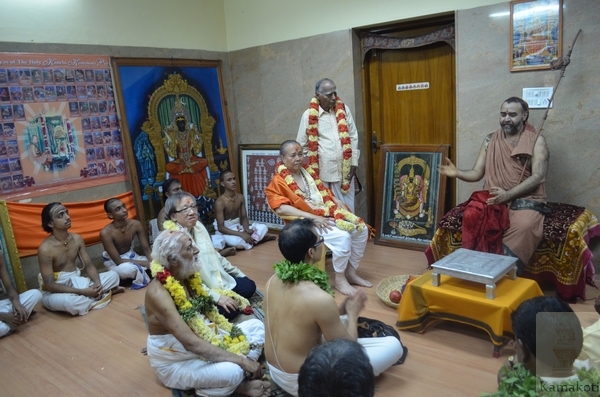 The Swarna Pada Puja performed to His Holiness Shri Periyava by His Holiness Pujya Shri Bala Periyava& Pushpabhishekam at Mahaswami Adhishthanam were a few events where the Maha Raja Guru took part. Earlier in the day He was received by Srimatam officials and the Maha Rajaguru had darshan of harathi at the Chadramouleeshwara Swamy Puja shrine. A book on Tiruvempavai in Thai, Tamil, Grantha & Roman script was released on the occasion. The Maha Rajaguru submitted a book on Cultural Heritage of the Kingdom of Thailand named "Devasthana" containing chapters on Trimurthi, Brahmin Philosophy, Passage of Priests from Jambudvipa to Siam, Devasthana: The Shrine of Gods in Capital City, Restoration of Devasthana etc to Their Holinesses. 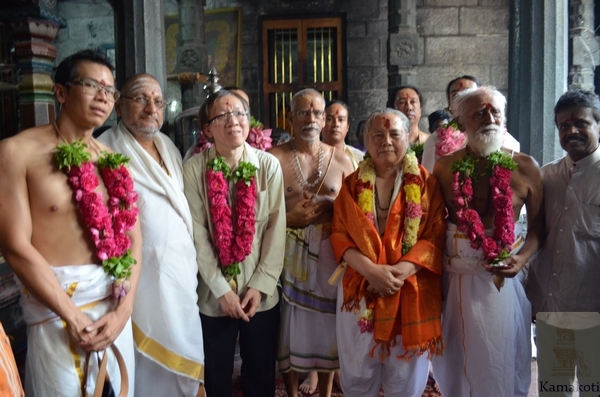 He was accompanied by other brahmins of Thailand and their Consul General. His Holiness had elaborate discussions with the Raja Guru. Dr. Nagasamy and other senior people took part in the discussions. The Maha Rajaguru also had darshan at Kamakshi temple.